We only have a few days left before Christmas! That means that there is only one weekend left before the big day, and it’s this weekend. If you want something a little more festive than just a simple Christmas movie while you drink your morning coffee, plan a festive slumber party! Complete with cocoa, Christmas movies, cookies, blankets, and a holiday breakfast, this weekend is sure to be one your kids will never forget. 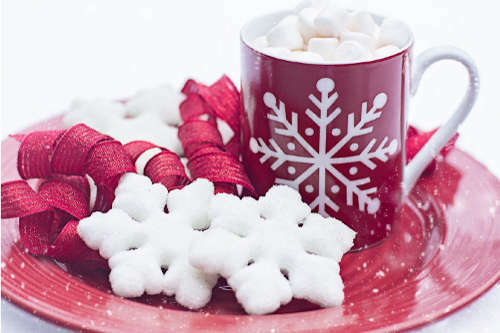 So put on your Christmas pajamas, get snuggled in, grab your hot chocolate, and get ready for a weekend to remember! For a true festive experience, you need all of the festive foods and goodies to go along with it! Hot chocolate is an essential component to a Christmas family movie night and sleepover, but it doesn’t have to be complicated. Plain, instant cocoa is one option, or you can read here about how to dress up instant hot chocolate to make it a bit more decadent. 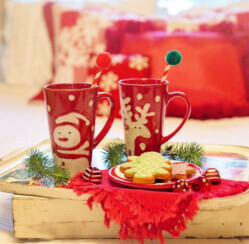 Accompany warm mugs of cocoa with Christmas cookies, and curl up in front of the TV before falling asleep. For the morning after the family slumber party, whip up some cinnamon rolls, like these from Food Network’s Ree Drummond, or make it a bit more unique and interesting with this fun twist on breakfast with this recipe for cinnamon roll french toast from Food Network’s Sandra Lee. You can’t forget about the movies for a Christmas sleepover! Create a lineup of festive films that are safe for children’s eyes, like The Grinch, Elf, The Santa Clause, and The Polar Express. Plan a couple for the evening, and one more for the morning while you’re all enjoying the cinnamon rolls, or cinnamon roll french toast, from above! And don’t forget to lay out plenty of pillows and blankets, like this fleece embroidered one. Your family will love it, and it may just become your new yearly tradition. Your kids will remember and cherish this weekend forever! 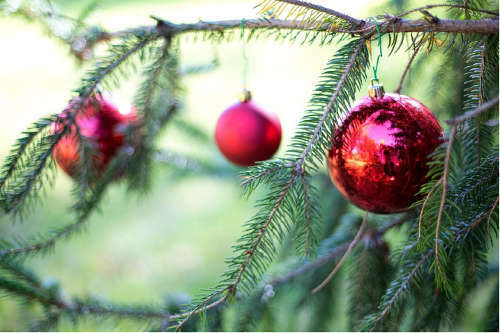 Does your family have any traditions for the days leading up to Christmas? Share this post and let us know in the comment section below!